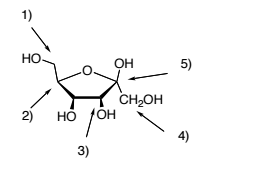 Solution: Identify the anomeric carbon of the following sugar. Identify the anomeric carbon of the following sugar. Pick the anomeric carbon on glucose. Which sugar has "D" stereochemistry?